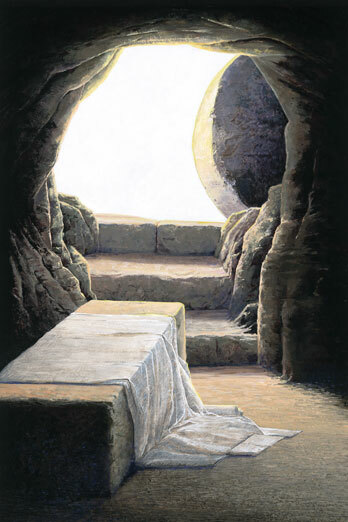 I am conducting a study on the theological significance of Christ’s resurrection, looking at it in relation to others areas of Christian doctrine – so far, Christology, soteriology, creation, eschatology, apologetics, and good vs. evil. (1) the resurrection intersects with Christology in that it inaugurates Christ’s session upon the throne of David and kingly rule over the nations (Acts 2:30-31); it also indicates the permanence of his humanity. (2) It intersects with soteriology in that it completes Christ’s atoning cross-work (I Peter 1:3, 3:21) and inaugurates his exalted intercessory work (Hebrews 7:24-25); also, as Richard Gaffin has shown, the believer’s union with Christ’s resurrection (both future in its future, bodily expression [I Corinthians 15:20] and its past, spiritual expression [Colossians 3:1, Romans 6:4]) is the wrap-around category for other aspects to the believer’s salvation (adoption, justification, sanctification, glorification). (3) It intersects with the doctrine of creation because it was bodily (which, as NT Wright has shown, was contrary to general first century understandings of life after death) and thereby signifies God’s care for material creation in redemption. (4) It intersects with eschatology in that it fulfills Old Testament hopes (Acts 13:32-37), marks the central epochal transition in history, and signifies the invasion of the future into the present – a “firstfruits” installment of what God will do for all believers. (5) It intersects with apologetics in that it publicly assures Christ’s reality and coming future judgment (Acts 17:31). (6) It intersects with good versus evil in that it is the decisive victory of the former over the latter and as such, it validates hope, inspires worship, encourages perseverance, and generally pledges a Happy Ending to reality. Gav, can you say more about union as the wrap-around category for the other aspects of salvation? I had always thought of justification as the foundation of all of it. Richard Gaffin makes a strong case for the solidarity of Christ’s resurrection with the resurrection of believers, and then shows how these various soteriological terms are applied to Christ’s resurrection – adoption in Romans 1:3-4 and Acts 13:33, justification in I Tim. 3:16, sanctification in Rom. 6:4-11, and glorification in I Cor. 15:42ff. and elsewhere. He then argues that Paul applies these same terms to believers on the basis of their solidarity with Christ. Our justification is in him, our adoption is in him, etc. There are lots of other texts and moves involved, but that is the shell, as best as I understand him thus far. The root of it all is this principle of Christ as our representative head, the second Adam. So far I am finding him very convincing, he really argues well from the text of Scripture. His book _Resurrection and Redemption_ is where to go for a more detailed case. Great, thanks so much, Gav.